No school in Thornton - and probably no more school ever for this bus in the old Robertson Bus Depot in Thornton. Classes were canceled at hundreds of schools across the state today – but not everyone in the school system got the day off, as NHPR’s Sean Hurley reports from his hometown in Thornton. Eric Tyrrell got the call at 5:15 this morning. No school at Thornton Central. Not for the kids or teachers anyway. But as the Facilities Director at the school, this was a wakeup call. Time to go to work. No school for kids and teachers - but Eric Tyrrell had to go. 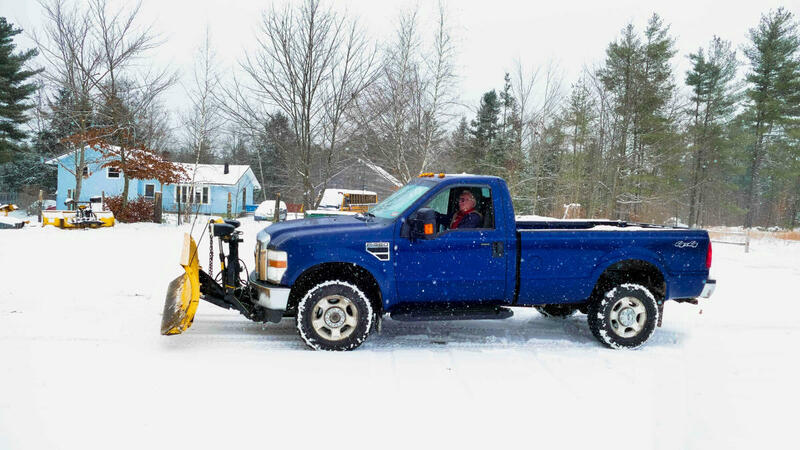 Thornton’s Phil McCuin spent the morning plowing – but for 21 years, McCuin drove a bus for the Robertson Bus Company. He’s driven my son to school. Phil McCuin, former bus driver, plowing out the old Robertson Bus Depot yard. I asked him what they’d do at the depot on snow days. “We’d plow the snow,” he says. “You have to keep the yard open here and whatever and I worked in the shop. And even when school was canceled back then – for Phil McCuin at the bus depot – just like Eric Tyrrell at Thornton Central today – there was work to be done. Winter Storm: Snow Prompts School Delays, Closures in N.H. The winter storm has prompted numerous school districts in New Hampshire to postpone the start of school today. 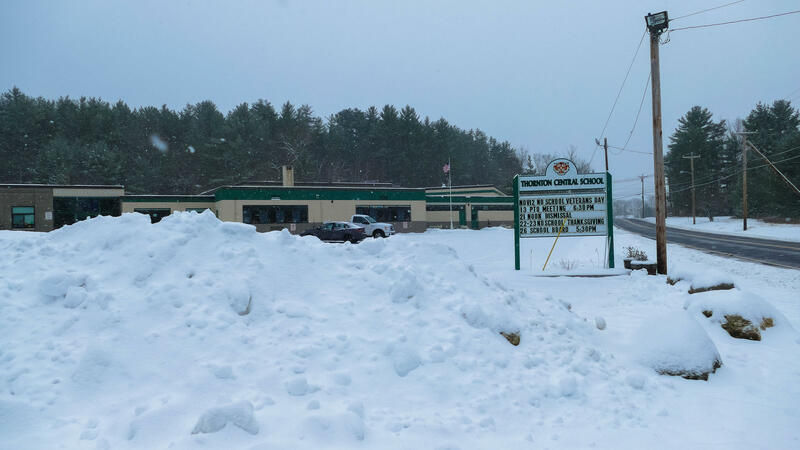 School districts that have closed due to the weather include Laconia, Lebanon, Nashua, Governor Wentworth, Sunapee, Timberlane and Derry Cooperative schools. Concord, Manchester, Kearsarge Regional, Dunbarton and Bow are among those with two-hour delays. A winter storm warning is in effect until 1 p.m.
Winter has arrived in New Hampshire’s North Country, as the ski industry and local shops gear up for their busy season. Most of New Hampshire's ski resorts have been making their own snow for days or weeks now, ahead of planned openings the Friday after Thanksgiving. Recent falling snow – captured on live ski slope webcams – has added to the inches on the ground. At lower elevations, much of that snow has turned into rain. But that hasn't dampened the spirits of retailers like Chad Larrivee, at Lahouts Ski Shop in Littleton.